aThere are 24 neonatal labeling changes involving 23 drugs. Linezolid has 2 labeling changes. US Food and Drug Administration Modernization Act. Pub L No. 105–115, 111 Stat 2296 (1997). Pediatric Rule. 21 CFR §31455, 21 CFR §60127, 21 CFR §201, 21 CFR §312, 21 CFR §314, 21 CFR §601. Code of Federal Regulations. Best Pharmaceuticals for Children Act. Pub L No. 107–109, 115 Stat 1408 (2002). Pediatric Research Equity Act. Pub L No. 108-155, 117 Stat 1936-1943 (2003). US Food and Drug Administration Safety and Innovation Act of 2012. Pub L No. 112-114. FDA Pediatric Labeling Changes Table. US Food and Drug Administration website. www.fda.gov. Accessed January 15, 2013. Medical, Statistical, and Clinical Pharmacology Reviews of Pediatric Studies Conducted under Section 505A and 505B of the Federal Food, Drug, and Cosmetic Act (the Act), as amended by the FDA Amendments Act of 2007. US Food and Drug Administration website. www.fda.gov. Accessed January 15, 2013. Summaries of Medical and Clinical Pharmacology Reviews of Pediatric Studies Conducted under Section 505A and 505B of the Federal Food, Drug, and Cosmetic Act (the Act), as amended by the Best Pharmaceuticals for Children Act of 2002. US Food and Drug Administration website. www.fda.gov. Accessed January 15, 2013. Drugs@FDA. US Food and Drug Administration website. http://www.accessdata.fda.gov/scripts/cder/drugsatfda/. Accessed June 11, 2013. Importance Federal legislation has led to a notable increase in pediatric studies submitted to the Food and Drug Administration (FDA), resulting in new pediatric information in product labeling. However, approximately 50% of drug labels still have insufficient information on safety, efficacy, or dosing in children. Neonatal information in labeling is even scarcer because neonates comprise a vulnerable subpopulation for which end-point development is lagging and studies are more challenging. Objective To quantify progress made in neonatal studies and neonatal information in product labeling as a result of recent legislation. Design, Setting, and Participants We identified a cohort of drug studies between 1997 and 2010 that included neonates as a result of pediatric legislation using information available on the FDA website. We determined what studies were published in the medical literature, the legislation responsible for the studies, and the resulting neonatal labeling changes. We then examined the use of these drugs in a cohort of neonates admitted to 290 neonatal intensive care units (NICUs) (the Pediatrix Data Warehouse) in the United States from 2005 to 2010. Exposure Infants exposed to a drug studied in neonates as identified by the FDA website. Main Outcomes and Measures Number of drug studies with neonates and rate of exposure per 1000 admissions among infants admitted to an NICU. Results In a review of the FDA databases, we identified 28 drugs studied in neonates and 24 related labeling changes. Forty-one studies encompassed the 28 drugs, and 31 (76%) of these were published. Eleven (46%) of the 24 neonatal labeling changes established safety and effectiveness. In a review of a cohort of 446 335 hospitalized infants, we identified 399 drugs used and 1 525 739 drug exposures in the first 28 postnatal days. Thirteen (46%) of the 28 drugs studied in neonates were not used in NICUs; 8 (29%) were used in fewer than 60 neonates. Of the drugs studied, ranitidine was used most often (15 627 neonates, 35 exposures per 1000 admissions). Conclusions and Relevance Few drug labeling changes made under pediatric legislation include neonates. Most drugs studied are either not used or rarely used in US NICUs. Strategies to increase the study of safe and effective drugs for neonates are needed. We analyzed the effect of recent pediatric initiatives on neonatal studies and labeling. We determined whether studies conducted under pediatric legislation included neonates, if there was a labeling change that included neonates, and the types of neonatal labeling changes made (eg, if safety and effectiveness were established). We also identified the proportion of neonates in a large cohort of hospitalized infants that was exposed to the drugs studied in neonates. We reviewed the pediatric resources on the FDA website for studies submitted between 1997 and 2010, including (1) the pediatric labeling changes database, (2) medical, statistical, and clinical pharmacology reviews, (3) pediatric medical and clinical pharmacology summaries, and (4) reviews posted at Drugs@FDA,16,18-20 to identify pediatric studies and labeling changes that included neonates. We defined a neonate as any infant 28 postnatal days of age or younger. In cases where we could not identify the exact postnatal age, we included the review and labeling change if it referred to an infant younger than 1 postnatal month, zero for the lower limit of ages (eg, 0 years of age), or newborn. We identified all drugs with pediatric studies that included neonates, the indication studied, the number of pediatric studies for each drug including neonates, the number of those studies published, the number of neonates studied if specified, the legislation responsible for the study, and whether the drug was approved for use in neonates for the indication studied. We compared the studies identified in FDA reviews with the medical literature (MEDLINE) to determine the proportion of studies identified in the reviews that were published. We assembled a cohort of neonates (infants up to 28 days of age) from 2005 to 2010 using a deidentified data set that included infants discharged from 290 neonatal intensive care units (NICUs). The data were obtained from an administrative database that prospectively captures information from daily progress notes generated by clinicians using a computer-assisted tool on all infants cared for by the Pediatrix Medical Group. From the daily notes, data were extracted, deidentified (in compliance with the Health Insurance Portability and Accountability Act of 1996), and consolidated into the Pediatrix BabySteps Clinical Data Warehouse. The “medications” and “demographics” tables were used for our analysis. We included all neonates. We used standard summary statistics to describe drug use. We searched the drug list for drugs that were identified in the FDA review to determine the exposure among neonates. The Duke University institutional review board designated this study as exempt because of the deidentified nature of the data. The FDA institutional review board exempted the national review from Research Involving Human Subject Committee review. We identified 28 drugs with 41 studies resulting in 24 labeling changes (including addition of pharmacokinetic information) that included neonates (Table). Of the 28 drugs, 16 had studies conducted under the incentive, 3 under the requirement, and 9 were conducted under both. Between 1997 and 2010, as a result of the pediatric initiatives, a total of 406 pediatric labeling changes were made.16 Twenty-four (6%) of the 406 pediatric labeling changes included new neonatal information (Table and Figure; note that linezolid received 2 labeling changes). Fourteen (50%) of the drugs were for infectious diseases, including 8 antiviral drugs, 4 topical ophthalmic antibiotics, 1 antifungal, and 1 antibiotic. The remaining drugs included 5 for gastroesophageal reflux disease, 3 anesthetics, 3 cardiovascular drugs, 1 analgesic/antipyretic, 1 pulmonary drug, and 1 volume replacement. The majority of the studies identified in the FDA review were published in the medical literature (31 of 41; 76%). Eleven of 24 labeling changes (46%) including new neonatal information also included an approval for use in neonates: 4 for human immunodeficiency virus (HIV) (didanosine, lopinavir/ritonavir, nevirapine, and stavudine), 3 for anesthesia (remifentanil hydrochloride, rocuronium bromide, and sevoflurane), and 4 for other conditions (Table). Thirteen of the 24 neonatal labeling changes (54%) included the statement “safety and effectiveness have not been established”: acetaminophen IV, caspofungin acetate, emtricitabine, esomeprazole magnesium, lamivudine, lansoprazole, linezolid, nelfinavir mesylate, nitric oxide, pantoprazole sodium, ranitidine, sotalol hydrochloride, and valganciclovir hydrochloride (Table). Five of the products studied in neonates did not obtain a neonatal labeling change. Prior to 2007, it was possible to enroll children in studies and not have any information from the study included in labeling. Moxifloxacin ophthalmic had a pediatric labeling change, but no neonatal information was added; no pediatric labeling change was made for bivalirudin, ciprofloxacin ophthalmic, gatifloxacin ophthalmic, or ofloxacin ophthalmic. We found that 22 of 28 drugs (79%) clearly specified the number of neonatal participants in the review, summary, or labeling; 6 of 28 (21%) provided only the number of pediatric participants in a pediatric age range (eg, 0-3 months) and ranged from 1 to more than 200 neonates. The largest proportion of neonates was enrolled in 3 studies of inhaled nitric oxide for the prevention of bronchopulmonary dysplasia (2180 of 3215; 68%); this drug failed to prevent bronchopulmonary dysplasia. In the Pediatrix database, we identified 399 drugs prescribed to 446 335 hospitalized neonates. Of the 28 drugs studied, the gastroesophageal reflux drugs were used most often (Table): ranitidine was the drug used most often (n = 15 627 neonates; 35 exposures per 1000 neonates), lansoprazole was third (n = 2374 neonates; 5.3 per 1000 neonates), and famotidine was fourth (n = 1646 neonates; 3.7 per 1000 neonates). Inhaled nitric oxide was the second most used drug overall, with 4929 neonates exposed (11 per 1000 neonates). Thirteen of the 28 drugs studied in neonates were not used in the Pediatrix neonatal population (6% hydroxyethyl starch 130/0.4 in 0.9% sodium chloride injection, bivalirudin, didanosine, emtricitabine, esomeprazole magnesium, fenoldopam mesylate, gatifloxacin ophthalmic solution, lopinavir/ritonavir, nelfinavir, remifentanil, sevoflurane, stavudine, and valganciclovir). Eight of 28 were used in fewer than 60 neonates per drug (acetaminophen IV, ciprofloxacin ophthalmic, lamivudine, nevirapine, ofloxacin ophthalmic, pantoprazole, rocuronium, and sotalol). Seven were used in more than 60 neonates per drug (caspofungin, famotidine, lansoprazole, linezolid, moxifloxacin, nitric oxide, and ranitidine). Of the 11 drugs with a neonatal indication, 7 were never used in the Pediatrix neonatal population: 6% hydroxyethyl starch 130/0.4 in 0.9% sodium chloride injection, didanosine, fenoldopam, lopinavir/ritonavir, remifentanil, sevoflurane, and stavudine. The other 4 drugs were used infrequently: famotidine, 3.7 per 1000 neonates; linezolid, 0.9 per 1000 neonates; and nevirapine and rocuronium, both less than 0.1 per 1000 neonates (Table). The majority of labeling changes occurred prior to 2008 (18 of 28 drugs; 64%). Ten (36%) of the drugs received labeling changes in the latter 3 years of the study period (2008-2010). Of these, 2 of the 10 were in the top 3 drugs used in the NICU (lansoprazole: n = 2374 and inhaled nitric oxide: n = 4929; both with no efficacy established). Neonates are an understudied population. Several factors are considered before neonatal studies can be performed: there must be a public health benefit, and the studies must be feasible, ethical, and sufficient to support dosing, safety, and efficacy. Nearly 40% (11 of 28) of the drugs involving neonates pursuant to pediatric legislation between 1997 and 2010 were deemed safe and effective in neonates. Most of these were drugs used to treat infectious diseases (eg, didanosine, lopinavir/ritonavir, and nevirapine), as well as anesthesia drugs (eg, remifentanil and rocuronium). Of the infectious disease drugs, the majority were for HIV. Although neonatal HIV has been almost eradicated from the United States, it is critical to study HIV drugs because it remains a problem in developing countries. We found that 13 drugs studied in neonates were not used at all among more than 400 000 hospitalized neonates. One reason may be that there is a disparity between the drugs being studied in neonates (particularly HIV drugs) and the conditions of patients in the Pediatrix database; 6 of the 13 drugs studied, but not used, were for HIV or HIV complications. Four drugs failed to receive a neonatal indication, including 1 to treat HIV, so it is possible that this is the reason that clinicians chose not to use these medications. The other products were for rare conditions that are not represented in the assessed population or would be used outside of the NICU: 2 were anesthetics not used in the NICU, 1 was for a rare cardiovascular condition, and 1 was for volume replacement (Table). It is possible that, because nearly one-third of the labeling changes occurred in the last 3 years of the study period, we did not capture their use because of a delay in uptake by clinicians. However, only 3 of the 10 labeling changes during that period had “safety and efficacy established,” so we would not expect the drug to be used, and 2 of the 3 were HIV drugs, a rare condition in the United States, making it unlikely that extending the national review would identify increasing use of these drugs. Many factors influence drug selection in neonates, including the current standard of care, availability of the drug in the hospital formulary, and the level of comfort using a given drug in neonates in light of the existing knowledge base. Few hospitalized neonates were exposed to a drug approved for use in neonates as a result of federal legislation (<0.5% of all drug exposures in neonates). We found that most of the exposure to drugs was off-label for neonates; only a minority of neonates received a drug approved for use in neonates (Table). Drugs that were used most often were used off-label despite studies indicating they were not effective for the indication studied. For example, ranitidine, lansoprazole, and inhaled nitric oxide (for the prevention of bronchopulmonary dysplasia) were the top 3 drugs used in neonates (representing 91% of all drug exposures in neonates from the 28 drugs studied); however, none have FDA labeling for the indication studied because of lack of efficacy. Gastroesophageal reflux is difficult to diagnose and treat, particularly in neonates. Unfortunately, antireflux medications, such ranitidine and lansoprazole, are associated with serious adverse effects in neonates,50 and quality improvement efforts in the Pediatrix Medical Group have reduced exposure in this vulnerable population. 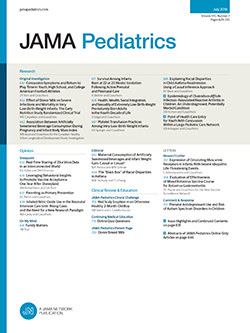 Although inhaled nitric oxide use is approved in term and near-term infants for hypoxic respiratory failure, it failed to prevent bronchopulmonary dysplasia and is not recommended.51 Thus, many neonates are exposed to drugs that are not indicated in this population, exposing them to unnecessary adverse events without the possibility of clinical benefit. There are several potential limitations to our study. Unfortunately, we could not identify the number of neonatal participants who were in 6 studies of the drugs with publicly available information from the FDA reviews and labeling. We could not determine the clinical indication for use of drugs in the Pediatrix data. For drugs that are most often used for surgery, such as remifentanil and rocuronium, we most likely underestimated the exposure because we did not capture drugs that were used in the operating room. Finally, we only include neonates who were hospitalized. For premature infants, this is most likely a representative sample. However, our database does not include outpatient neonates, such as neonates who were discharged well from the term nursery. In conclusion, federal legislation encouraging the study of products used in the pediatric population has resulted in very few labeling changes that include new neonatal information. Studying drugs in neonates is critical; however, because of scientific and regulatory challenges, trials involving neonates are scant. The rapid physiological changes in the developing neonate affect study design and end points. Study designs and procedures that are appropriate in adults and older children may not be appropriate in neonates. Extrapolation of efficacy from adults or older pediatric populations—a tool that can sometimes be used to decrease the “trial burden” for the pediatric population—is less easily adapted to the neonate. The Pediatric Exclusivity program is voluntary. Therefore, sponsors are not obligated to perform the pediatric studies outlined in the FDA’s written request. Furthermore, appropriate formulations for use in neonates may not exist. Because of these challenges of performing clinical trials in infants, few labeling changes have included infant-specific information. Novel trial designs need to be developed, and appropriate study end points must be identified and validated. Education of parents and caregivers regarding the need for studies of drugs being given to neonates will also increase trial success. The scientific and clinical research community will need to work together with the FDA to conduct essential neonatal studies. Corresponding Author: Matthew Laughon, MD, MPH, 101 Manning Dr, CB 7596, 4th Floor, UNC Hospitals, Chapel Hill, NC 27599-7596 (matt_laughon@med.unc.edu). Accepted for Publication: September 2, 2013. Published Online: December 9, 2013. doi:10.1001/jamapediatrics.2013.4208. Author Contributions: Dr Laughon had full access to all of the data in the study and takes responsibility for the integrity of the data and the accuracy of the data analysis. Study concept and design: Laughon, Avant, Clark, Smith, Rodriguez. Acquisition of data: Laughon, Avant, Tripathi, Clark, Smith. Analysis and interpretation of data: Laughon, Avant, Hornik, Cohen-Wolkowiez, Smith, Rodriguez. Drafting of the manuscript: Laughon, Avant, Clark, Rodriguez. Statistical analysis: Laughon, Avant, Hornik. Administrative, technical, or material support: Laughon, Avant, Tripathi, Cohen-Wolkowiez, Smith, Rodriguez. Study supervision: Laughon, Cohen-Wolkowiez, Clark, Rodriguez. Conflict of Interest Disclosures: Dr Cohen-Wolkowiez has received support for research from Pfizer, Cempra, Diomorph, Aptiv Solutions, GlaxoSmithKline, Janssen Research and Development, Special Products Ltd, Tetraphase Pharmaceuticals, and The Medicines Company for neonatal and pediatric drug development. Dr Smith receives research support from Astellas Pharma US, Cubist Pharmaceuticals, Johnson & Johnson, Pfizer, Pangen Biosystems Inc, and CV Therapeutics Inc for neonatal and pediatric drug development. No other disclosures were reported. Funding/Support: This study used Clinical and Translational Science Award biostatistical services through the Division of Pediatric Quantitative Sciences (National Institutes of Health grant 5UL-1RR024128-01). Dr Laughon receives support from the US government for his work in pediatric and neonatal clinical pharmacology (government contract HHSN267200700051C, principal investigator D. K. Benjamin, Jr, MD, PhD, MPH, under the Best Pharmaceuticals for Children Act) and from Eunice Kennedy Shriver National Institute of Child Health and Human Development grant 1K23HL092225-01. Dr Cohen-Wolkowiez receives support for research from National Institutes of Health grant 1K23HD064814 and the nonprofit organization Thrasher Research Fund (www.thrasherresearch.org). Dr Smith receives salary support for research from the National Institutes of Health and the US Department of Health and Human Services (Eunice Kennedy Shriver National Institute of Child Health and Human Development grant 1K23HD060040-01, Department of Health and Human Services grant 1R18AE000028-01, and government contract HHSN267200700051C). Disclaimer: The views expressed in this article are those of the authors. No official endorsement by the US FDA is provided or should be inferred. Role of the Sponsor: The funders had no role in the design and conduct of the study; collection, management, analysis, or interpretation of the data; preparation, review, or approval of the manuscript; and decision to submit the manuscript for publication. Additional Contributions: We thank Dianne Murphy, MD, at the FDA for advice, review, and editing of the manuscript.